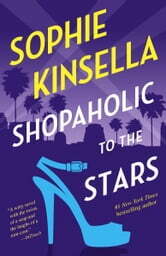 Sophie Kinsella returns to her beloved Shopaholic series with Becky Brandon (née Bloomwood) newly arrived in Hollywood and starry-eyed. She and her two-year-old daughter, Minnie, have relocated to L.A. to join Becky’s husband, Luke, who is there to handle PR for famous actress Sage Seymour. Becky can’t wait to start living the A-list lifestyle, complete with celebrity sightings, yoga retreats, and shopping trips to Rodeo Drive. But she really hopes to become a personal stylist—Sage’s personal stylist—if only Luke would set up an introduction. Then, unexpectedly, Becky is offered the chance to dress Sage’s archrival, and though things become a bit more complicated, it’s a dream come true! Red carpet premieres, velvet ropes, paparazzi clamoring for attention—suddenly Becky has everything she’s ever wanted. I know what to expect when it comes to Becky Bloomwood but I feel she lost her charm in this novel.. The story went 0n and on and it was actually very boring. It took for ever to read it. 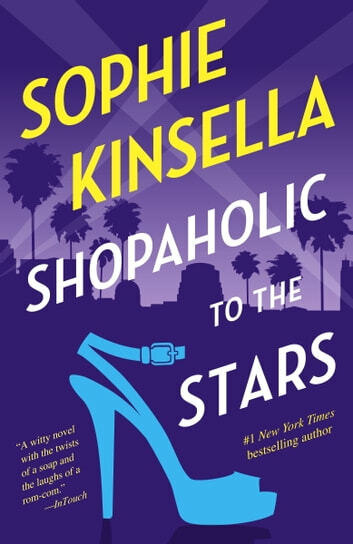 I remember reading her first shopaholic book and i could not stop reading it because it was so good and funny. Felt like i needed to read all the books to understand the story line , the ending was disapointing realy needed to know what happened, needed another chapter. Loved her first book, thought it was quirky. Reading this one I felt my IQ getting lower. It is a terrible juvenile attempt and I honestly could not stomach reading more than a couple of chapters. This book would be better suited to tweens.